Arm pads, hand pads, gel forearm pads and crutch tips. Crutches provide stability as well as independence for those requiring assistance in ambulation on a short or long term basis. Crutches can be very uncomfortable. 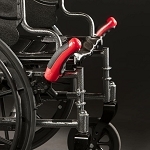 We have searched for easy to use and easy to install crutch accessories to make crutches more user friendly. 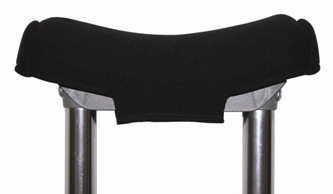 Shop online for crutch accessories including arm pads, gel hand padding, crutch tips, and more! 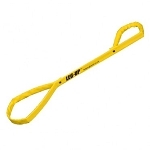 Prevents a cane or crutch from slipping on snow-covered, slushy or icy surfaces. 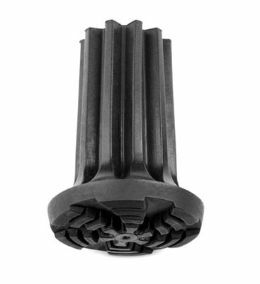 Fits 5/8 to 7/8 inch standard canes and crutches. Especially useful for individuals who utilize crutches for longer periods. Glycerin gel forearm pads provide long lasting comfort. Makes it convenient for the handicapped person to comply with displaying the parking permit. For carrying forearm or underarm type crutches while using a wheelchair or scooter. 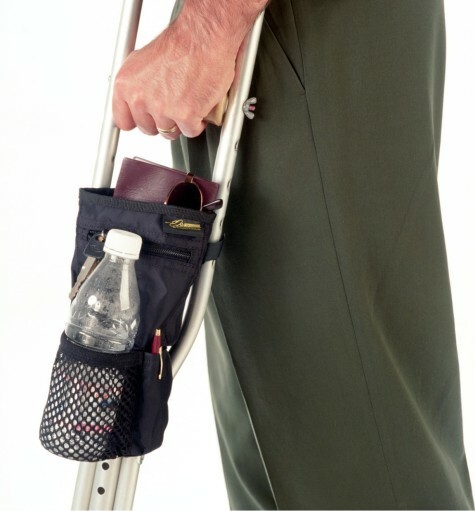 Stretchable bag easily attaches with adjustable straps to standard crutch. 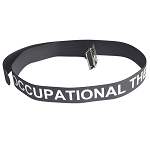 Helps keep essential items handy without interfering with mobility. 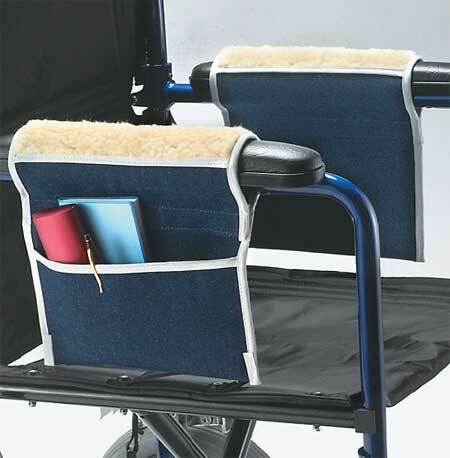 Designed for the ultimate in crutch comfort and skin protection!